Welcome Friends!!! Here in this blog we will discuss all about the drones, oem components and selection of the components for drones. 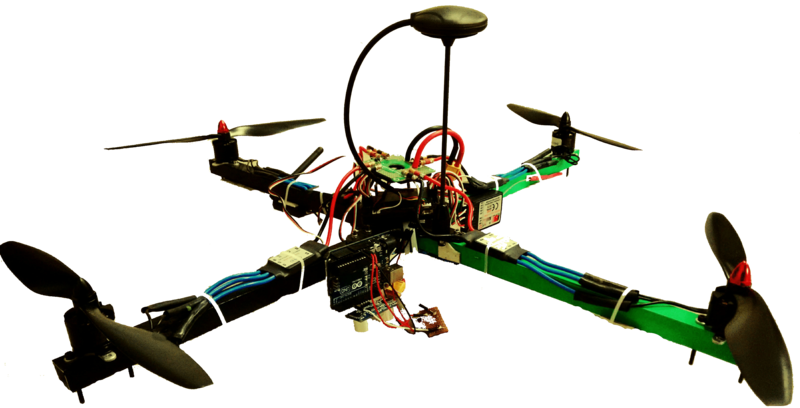 But befoe discussing about the parts of QUadcopter/multirotor we must discuss What Are Drones, Quadcopters and UAVs? So if you are a newbie then reading the below article will let you know What Are Drones, Quadcopters and UAVs? On coming to the topic Drones, it is the first question for newbies what is drone? So by reading below article by DronEPIC you will surely move from the newbies to an expert. UAVs are Unmanned Aerial Vehicles and Drones are exactly the same. UAVs are nothing but anything which flies without the person’s control sitting inside it. UAV’s cover unmanned, from aircraft, rockets, military drones to quadcopters, micro quadcopters and tiny prototypes shaped like hummingbirds. The most basic drone is probably the paper plane. A quadcopter is a multirotor helicopter that is lifted and propelled by four rotors fixed at the four arms. Quadcopter uses two pairs of propeller that are at fix pitch i.e two clockwise and two anti-clockwise so as to cancel out the angular momentum. Each rotor or a motor is at a different speed so as to give the proper control to the drone or a quadcopter. Controlling the speed of each rotor gives you the desired thrust at each arm and to fly in a desired direction. Quadcopters are cheaper, durable than conventional helicopters at small sizes due to their mechanical simplicity. Their smaller blades possess less kinetic energy, so as to reduce their ability to cause damage. It also makes it safer for close interaction. It became disadvantageous when the size of the quadcopter size is increased because by increasing the size the angular momentum increases. This means that changes in blade speed take longer, which negatively impacts control. At the same time, increasing blade size improves efficiency as it takes less energy to generate thrust by moving a large mass of air at a slow speed than by moving a small mass of air at high speed. Therefore, increasing efficiency comes at the cost of control. Helicopters do not experience this problem as increasing the size of the rotor disk does not significantly impact the ability to control blade pitch. Hope you liked the above article about What Are Drones, Quadcopters and UAVs?. How can we use it in various systems? If you liked the above given article do share us on social networking like Facebook, Google, Twitter and others. You can also take the reference from our website www.dronepic.co.in.